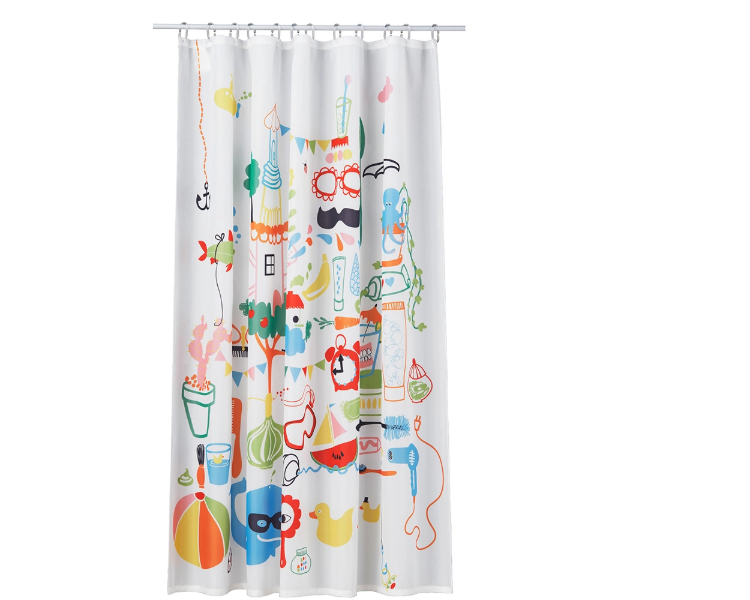 Shower curtain is made of polyester with 8 pcs C hooks. Custom logo can be imprinted with all colors. 47 1/2" x 70 7/8"